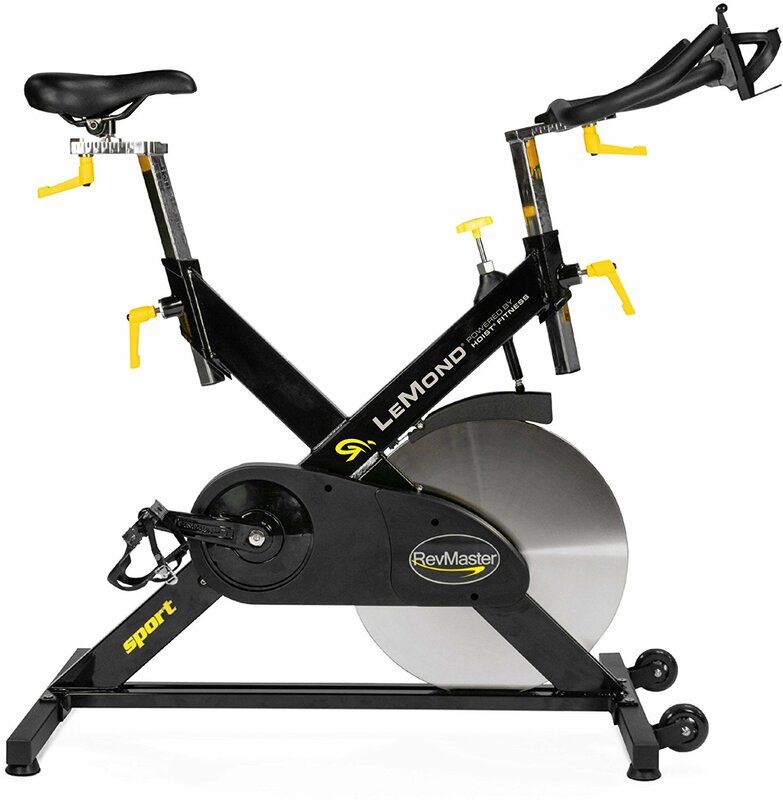 One of the most popular models in the series, the LeMond RevMaster Sport is a solid indoor cycling bike for those who are looking for a club-quality riding experience. With high-end components and plenty of adjustability, this one is a winner. The RevMaster Sport features a light weight, steel main frame, all black with yellow accents and a silver drop in mounted flywheel. It is designed to be easily accessible, yet stable, and has transport wheels for easy mobility. There has been a lot of talk lately about the LeMond bikes, as they are becoming quite popular these days. Reviews have been very favorable, and these are certainly well-constructed indoor cycling bikes. To give you a brief overview, LeMond bikes are brought to you through a collaboration between the cycling legend, Greg LeMond, and Hoist Fitness, a leader in strength equipment for high-end gyms and health clubs. As we mentioned, the LeMond RevMaster Sport is the company's most popular bike, and has been their flagship model since the company's beginning back in in 2002. The RevMaster is extremely well made and well designed, with a durable steel frame and heavy drop-in flywheel, giving you a very stable, smooth, quiet ride. The comfortable, ergonomic seat moves up and down as well as fore and aft. You can make micro adjustments to ensure the ideal position. The unique handlebars allow for multiple positions for your hands during your ride. The RevMaster Sport features a smooth, maintenance-free Kevlar belt, which is quieter than the typical chain. You can adjust the resistance with the turn of a knob, and transition from one level to another is seamless. So the bike is top-quality, with solid components and designed to exacting specifications...any negatives with this one? Yes, there are two actually. The first is that there is no computer at all on the LeMond Revmaster Sport. 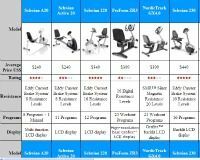 At around $1000, you would definitely expect it to have some kind of computer, even a very basic one with minimal workout stats. Most of the other indoor cycling bikes, even the less expensive ones, come with a computer attached. Our second gripe? 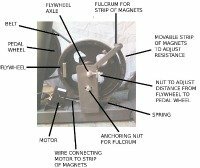 The warranty. Yes the LeMond RevMaster Sport is extremely well made and high-end like the rest of the Hoist Fitness equipment...so why just 5 years on the frame and body? That doesn't inspire too much confidence. As a comparison, the popular Diamondback 910IC offers lifetime coverage on the frame and brake, and it's about $100 or so cheaper than the RevMaster. So the bike is great, we just don't love the fact that there is no computer for feedback and a very skimpy warranty. We certainly like the Greg LeMond Rev Sport Plus, as it is a solid indoor cycling bike from a very well regarded company in the industry. At around $1000 on sale, it's a good price for what you are getting. Still, the lack of a basic computer is off-putting, as everyone likes to see some stats while they are working out. Plus, without a computer there is no heart rate monitoring either, which isn't ideal. We wish the warranty was a little more extensive...we would have been OK with even 10 years like you get on the Keiser bikes. Five years though seems a bit short. We would definitely opt for an extended warranty if it is available for just peace of mind should something break down the road.